Admin custom login plugin give ability to customize your WordPress admin login page according to your style. Plugin allows changing background color, background image, background slide show, login form color, login form font size, login form position, adding custom logo, adding social media icon on form and many more features. 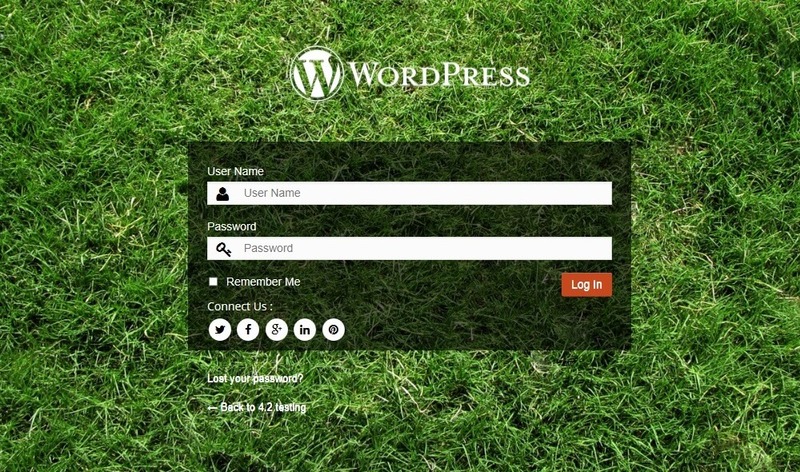 First download the plugin package from WordPress. After uploading and extracting process end it will display an Activate Plugin link. Click on that link to activate plugin. Plugin is successfully installed and activated , now proceed to the next step. 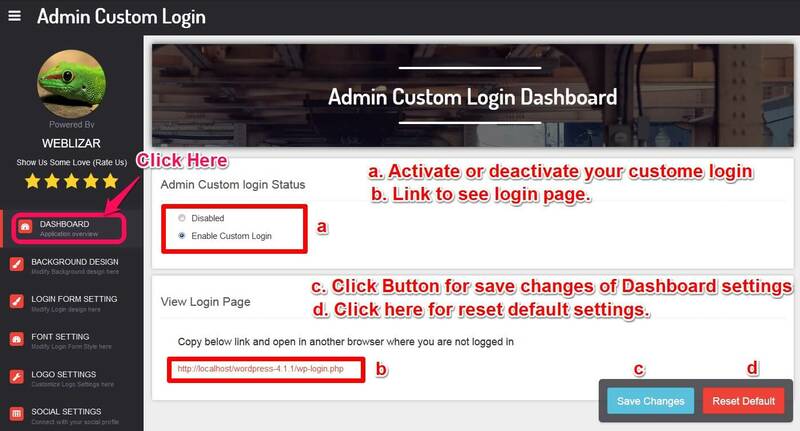 Go to Admin Custom Login plugin menu, and then click on Dashboard tab on menu. 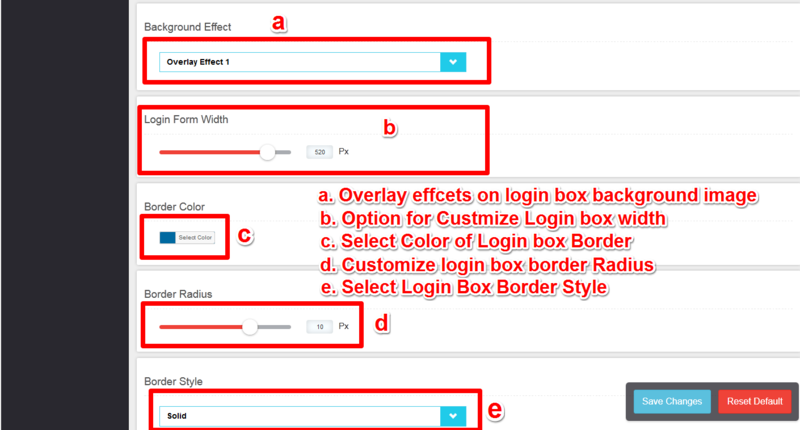 Select “Enable Custom Login” option and save changes. 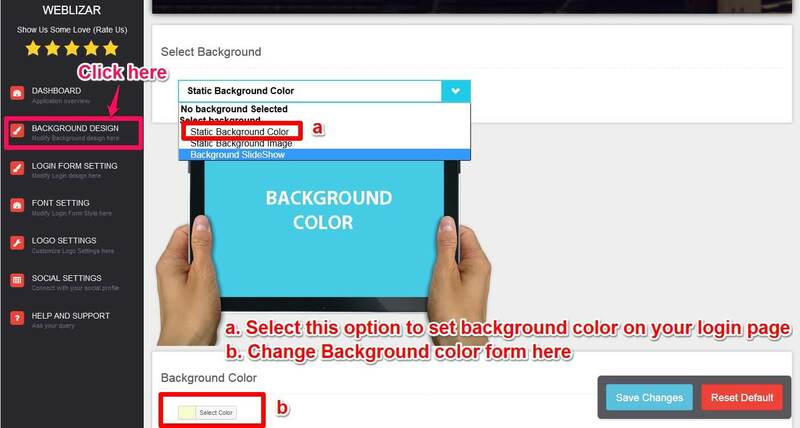 Select ‘Static Background Color’ from Select option, choice background color of your login form and click on ‘save change’ button for apply changes. 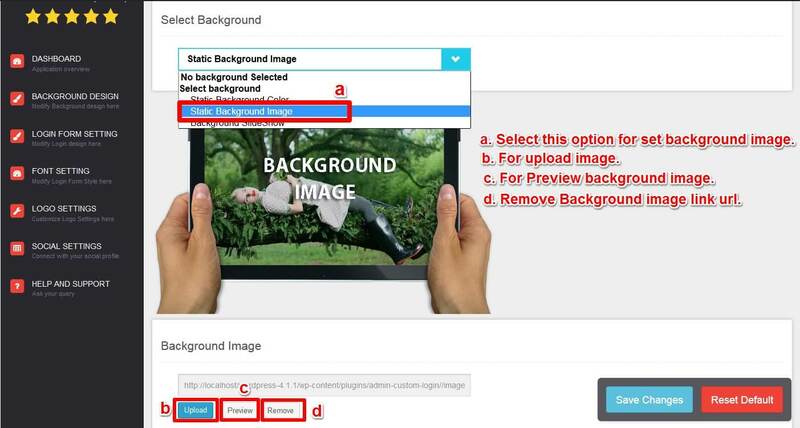 Select ‘Static Background Image’ for set background image on your login form. One can customize background image and other option like stretch background or background repeater, position and attachment. Click to upload button a media up-loader panel is open. 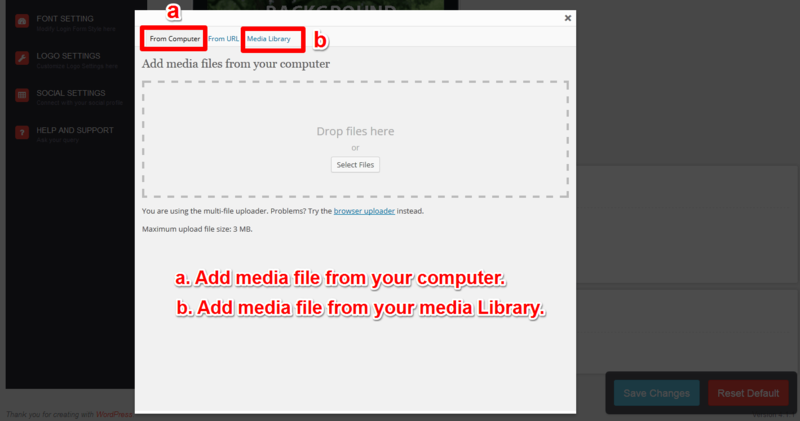 You can upload image from your computer or media library. This is our most key feature of this plugin. We have provided you our best to add slideshow on your custom login background without any hesitation. 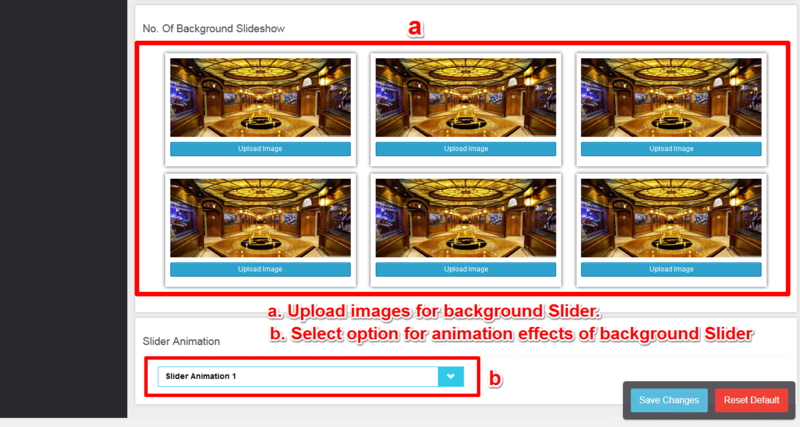 Set number of slides which you want to show on slideshow, You can set upto 6 Maximum Images for slideshow. Plugin has 4 types of transition animation in background slideshow. So, you can apply any transition effect on background slideshow which best suited to you. 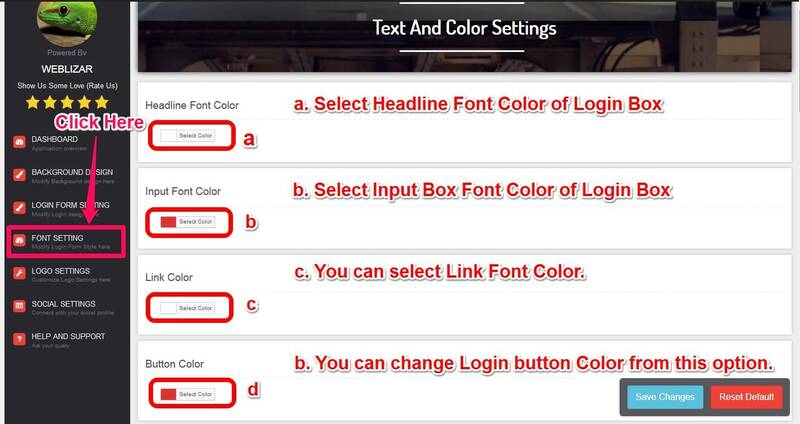 Click to Login Form Setting menu tab to access setting for login form. 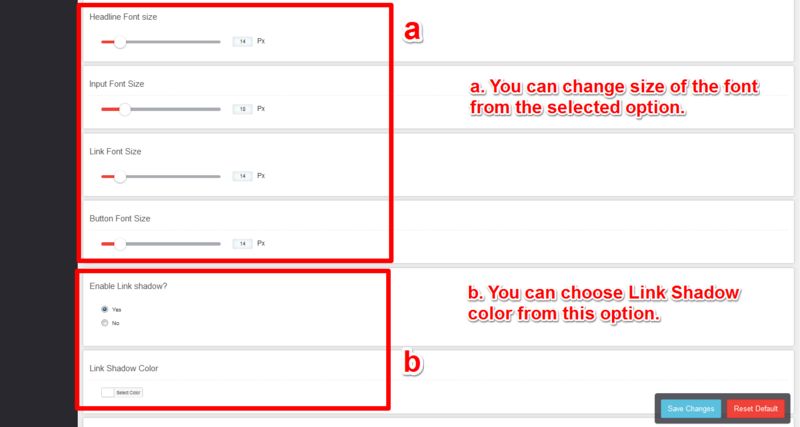 Select ‘Static Background Color’ from Select option, choice background color of your login form and click on ‘save change’ button for apply changes. You can also set opacity of background color. 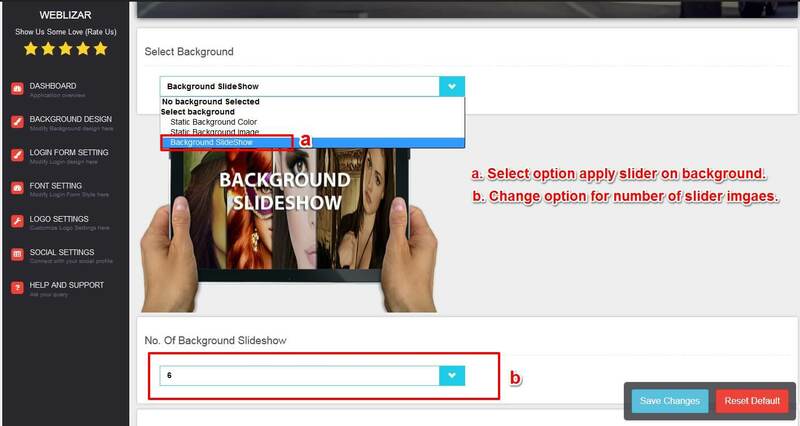 Select ‘Static Background Image’ for set background image on your Login Form. One can customize background image and other option like background repeater and position. You can apply background effect over the background image to make it more attractive. 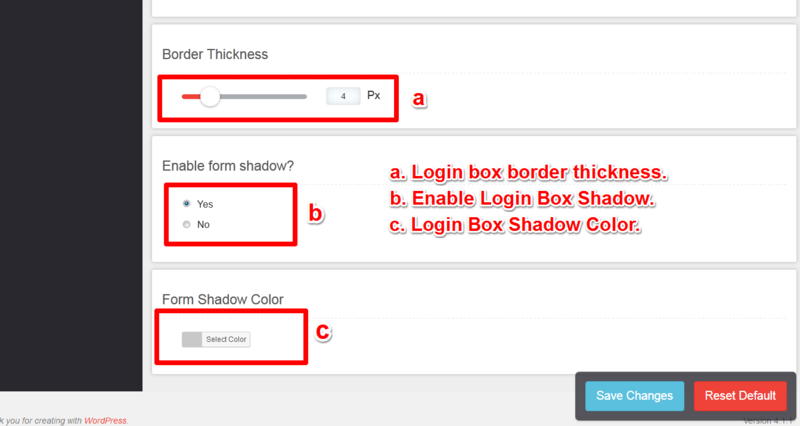 You can set Login Form Width, Border Color, Border Radios, Border Style, Border Thickness, Login Form Shadow & Shadow Color. Click to Logo Setting menu tab. 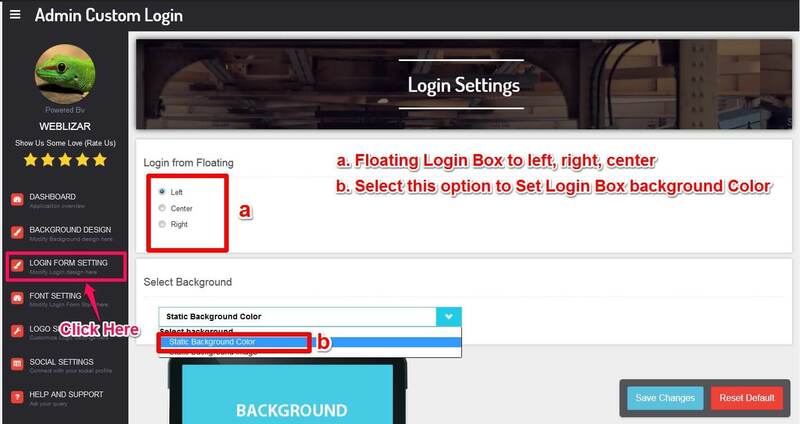 You will find the Logo setting which appears on login form, by default WordPress logo appears above loging form. 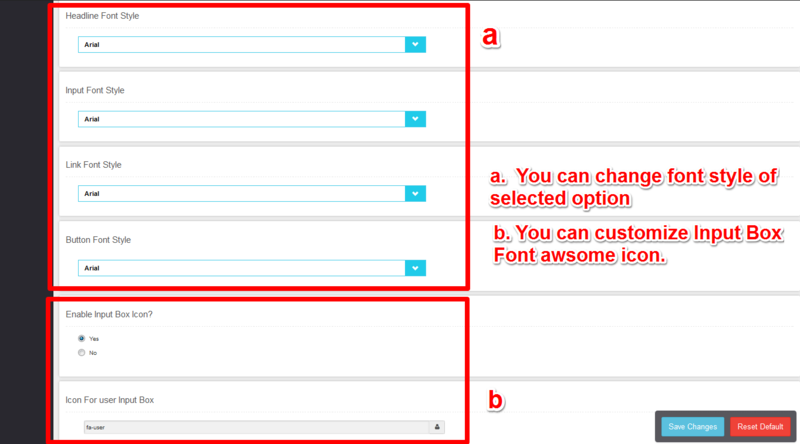 But you can display your own logo above form using that setting. You can also provide Logo Link URL & Logo Title. If you face any trouble OR required any assistance to setup and configure plugin, please post your query on Support Forum. We will try our best to resolve our query on forum. Really great teaching. 😀 Now I did it. But do you customize testimonial plugin like GS Testimonial Slider ? Please reply my answer. We will try our best to make our testimonial plugin like gs testimonial slider. Hello! Great plugin. But i need help to redirect users to another page after login, not to https://www.mysite.com/wp-admin/profile.php. Can you help me? This will be useful in your case. Nedd to know how to edit this?